A former Google and Microsoft engineer explains why elitist, arrogant rebels often make the best employees. I don’t know Edward Snowden, but I know his kind. I’ve read through a decade’s worth of his posts to Ars Technica under the name “TheTrueHOOHA,” where the now 29-year-old NSA whistle-blower wrote on everything from shooter games to corporatism to Goethe. The unguarded posts reveal a young man who’s highly individualist, moralist, elitist, arrogant about his superior intellect (“I feel that responding to your post will prove to be a wasted kindness. I’ll do it anyway, because I am still hopeful that you will learn something”), contemptuous of corporate profiteering (“I am opposed to selling and creating games solely as a means to create money”), and at times fond of anti-authoritarian sloganeering (“Piracy is today’s boycott. Just say no to corporate amerika”). In other words, he was exactly like many of his techie brethren. The act that made him famous was singular. Snowden himself is not. In my years as a software engineer at Google and Microsoft, I interviewed hundreds of job applicants. Assuming he met the technical bar, I probably would have hired Snowden. Even assuming he had said something like, “If I sound like a belligerent, self-important, 18-year old upstart with no respect for his elders, you are probably onto something.” I hired people who said worse. Snowden’s lack of formal education—no high school diploma—wouldn’t have bothered me. The ideal was a person who was sharp, independent, systematic, and very careful. The top tech programs—at places such as MIT, Caltech, Carnegie Mellon, Stanford, UC–Berkeley, and the Ivies— produced many strong candidates, but a computer science degree from most other universities was less of a positive indicator. People with nontraditional educations sometimes did just as well. They usually had some gaps in their knowledge of algorithms and data structures, but I cut them slack, because teaching yourself is harder than being taught, and often more valuable. If you could run the gauntlet of five or six whiteboard coding tests, you stood a good chance of being hired. Sometimes an applicant would be too hostile or uncommunicative, but for me at least, technical skill was the deciding factor the vast majority of the time. There are a nontrivial number of techies who are smart but literally impossible to work with because they are incapable of compromise or politeness. When eccentricity is the norm, it’s hard to have a litmus test for what acceptable eccentricity is. Snowden was, in sum, an elitist who was not part of an elite. That’s one of the crucial differences between Snowden and an Internet wunderkind like the late Aaron Swartz, who faced the possibility of up to 35 years in prison for violating the Computer Fraud and Abuse Act after downloading more than 4 million articles from JSTOR. (Swartz committed suicide in January.) Swartz was a prominent member of an informal but very influential tech activist network; he was a visible target long before the Department of Justice nailed him on an unforced error. 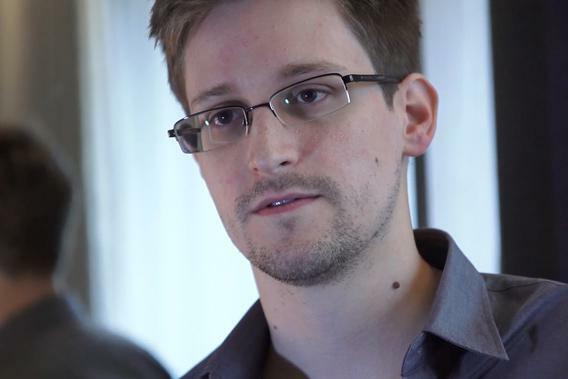 Snowden was working an IT job at a defense contractor. Like Swartz, he felt that the system in which he lived and worked was dangerously broken. Unlike Swartz, his best shot at changing the world meant ruining his life. In past generations, people like Snowden—members of a nonelite middle class—would have settled down into staid white-collar jobs that didn’t make full use of their intellect, probably close to where they grew up. The tech and Internet boom of the last 20 years has given them opportunities to learn and explore outside of traditional forms of higher education, to travel, and to meet others who share their worldview. It has also given them more power. There’s no smoking gun for what made Snowden leak classified information—at least until recently, he was simply too typical of his kind. If you put enough intelligent, independent, anti-authoritarian people in positions of relative power, at a time when government and enterprise are perceived to have lost moral authority and contravene the individualist ideals they purport to defend, you will sooner or later produce a Snowden. Many more like him will be paying close attention to his fate.